Lip Augmentation is the procedure which uses synthetic or biological products or surgical restructuring to enhance the lips in many ways. The ideal lip filler is soft, pliable and permanent, yet removable, inexpensive and cause NO complications in any patient. At this time and moment that just isn't possible. However, doctors try their best with what is available. If you are in great physical and emotional health as well as have reasonable expectations, elastic skin and no previous existing medical conditions. If you meet these conditions and wish to change the appearance of your lips, you may be a good candidate for lip enhancement. Dr. Sanjay Grover is a Board Certified Plastic Surgeon and is a Diplomate of the American Board of Plastic Surgery. He received his post-graduate training in General Surgery and Plastic Surgery at Stanford University. He was selected for this highly competitive and prestigious "combined" training program upon concluding medical school. 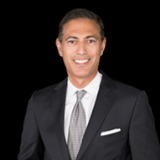 Following his training at Stanford, Dr. Grover completed an additional elective fellowship in Aesthetic and Oculoplastic Surgery at the renowned Paces Plastic Surgery Center in Atlanta, Georgia. Dr. Grover understands that the selection of a plastic surgeon is an extremely important decision for any prospective plastic surgery patient. As such, he endeavors to provide each of his patients with both personalized attention and surgical excellence. He is well-versed in the latest plastic surgery and laser techniques.